Join the conversation--nuture our economy! Care about the region's economic future? The most powerful and successful communities are those whose citizens are engaged in what’s going on around them. Let’s keep building Northeast Oregon’s strength by getting involved in regional economic planning. 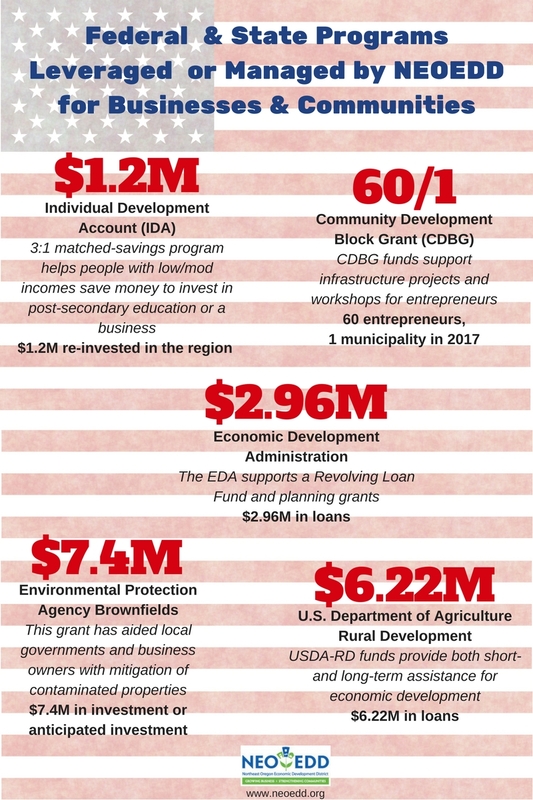 NEOEDD compiles a new Comprehensive Economic Development Strategy—affectionately known as the “CEDS”—every five years (with annual updates). 2018 is a CEDS revision year, so NEOEDD has been working hard to engage civic leaders in visioning exercises. Now, it’s your turn! Please join us for a public meeting in your county, and share your opinions via our anonymous survey. Led by NEOEDD, local leaders in business health care, education, natural resources, and government have explored their hopes for and concerns about Northeast Oregon’s economy. A key finding discovered at a discussion in late January was the need for more collaboration across county lines in order to diversify the economy and provide better paying jobs for the region. The importance of involving people of different backgrounds, cultures and ages in planning for the region’s future was also highlighted. To gather more perspectives on how best to improve quality of life in NE Oregon, NEOEDD is hosting a public forum in Wallowa/Union/Baker County and an anonymous online survey. People who enjoy gathering to share food and ideas are invited to attend the forums. Fun and facilitated activities will inform participants about the region’s current economy, and gather input on strategies to provide for jobs, education, housing, and other essentials needed to support a healthy economy. Free! Refreshments will be provided. RSVPs are not required but are appreciated (541-426-3598), so we don’t run out of food! People are also invited to complete the Northeast Oregon Strategy Survey, here. Please respond by Mar. 21. Those of us in government and economic development do not—and don’t want to—work in a vacuum. We need your input! We look forward to hearing from you. Back by popular demand: the four-part "GrantReady" workshop series provides organizational development and grant-writing training with tools and skills needed to help nonprofits become more competitive for grant funding, and better prepared to operate and evaluate their programs and projects. NEOEDD offers this series in Baker City on Saturdays, Apr. 7 to 28, from 10:30 a.m. to 4 p.m. Lunch will be provided. The cost for the four-part series is $100 for the first participant from each nonprofit, with a discounted rate of $50 for each additional participant. A limited number of scholarships are available; contact Lisa Dawson if interested. Registration link is here. "I really appreciated the focus on Diversity, Equity and Inclusivity as an integral part of the grant application process." "Thank you for teaching a workshop that was grounded in principles of inclusivity and broad in the scope of skills that it provided." 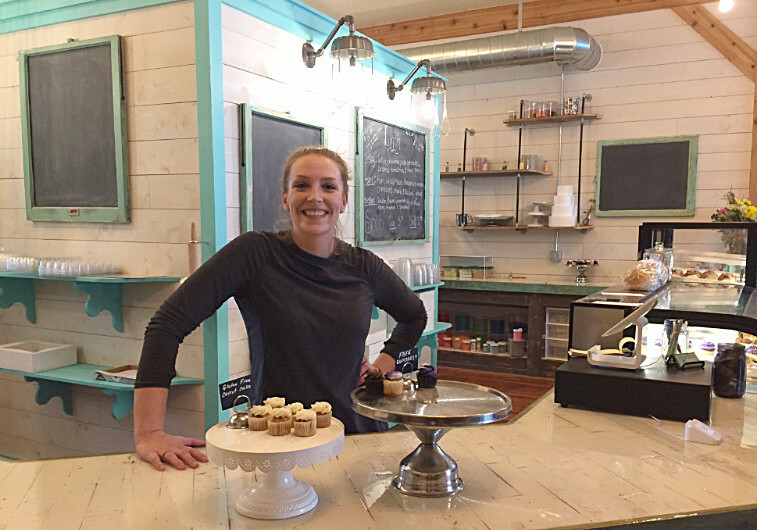 Eva Herold moved Sugar Time Bakery to 107 N River St. in Enterprise, and couldn't be happier! Rural Oregon's nonprofit organizations are exploring how diversity, equity, and inclusion (DEI) can build understanding, strengthen mission impact, and ensure public benefit. To this end, NEOEDD is organizing a series of roundtable discussions for regional nonprofit board and staff to learn, share, and discuss DEI methods and strategies. The next roundtables will be held May 2 (Location in Baker City TBD), Aug. 1 (Location in Wallowa County TBD), and Nov. 7, 2018, and Feb. 6, 2019. Details forthcoming. The sessions include lunch.The cost to attend is $25 per person per roundtable discussion. Scholarships are available; please inquire at NEOEDD, 541-426-3598. NEOEDD has helped dozens of businesses in Baker, Union, and Wallowa counties launch or expand their businesses with its loan programs. The loans are "gap" loans, meant to fill gaps left by traditional lenders. Character: Your reputation in the community; your treatment of customers, suppliers and employees; your integrity; your financial history, which could be reflected in your credit score. Capacity: Your ability to repay the debt with regular (usually monthly) payments. This is often demonstrated by historic cash flow and profitability. Capital: The amount of investment the owners of the business are making. The amount of capital invested by owners reduces the risk of the lender and demonstrates the commitment of the owners--the owners are exposing themselves to risk. Collateral: Collateral is used to reduce the risk of lending. Collateral consists of assets (real estate, equipment, inventory, etc.) that are legally assigned to the lender. They can be used as a secondary source of repayment if the borrower fails to pay back a loan. Conditions: The operating environment (competition, market opportunities) and economic environment are important to lenders as they assess the potential of a business to be successful. The actual loan amount, interest rate and repayment terms are the second type of conditions that affect lending decisions. 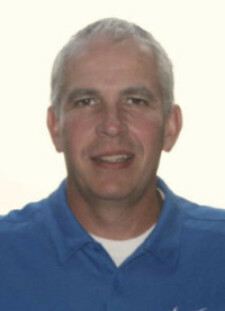 Find out more about NEOEDD's loan programs on our website, or by contacting Loan Officer Mike Ogan (photo below) via email or 541-519-7699. NEOEDD/NOBD is an Equal Opportunity Lender, Provider, and Employer. State legislators Bill Hansell and Greg Barreto hold videoconferences with the public at 7 a.m. the first Tuesday of each month (Mar. 6) at the OSU Extension Office, 668 NW 1st St., in Enterprise. RSVP to the WC Chamber of Commerce, 541-426-4622. Baker County Business Round Table and Baker County Employer Council meet the second Tuesday of the month (Mar. 13) at 8 a.m. at The Little Bagel Shop. Call the Chamber of Commerce office at 541-523-5855 for more information. BMCC SBDC offers "Marketing Basics" workshop Mar. 6 at 6:30 p.m. in Enterprise. Cost $39. Click here for more information. Travel Oregon offers monthly webinars of instruction for their OR Tourism Information System, or OTIS, which is a collaborative platform used for sharing and maintaining Oregon’s tourism assets. Remaining 2018 dates are Mar. 7, Apr. 4, Jun. 6, Jul. 11, Aug. 1, Sept. 5, Oct. 3, Nov. 7, and Dec. 5 at 10 a.m. Click here for more information. Travel Oregon wants to hear from businesses affected by wildfire. Take the survey here by Mar. 9. BMCC SBDC offers "Marketing Basics" workshop Mar. 13 at 1 p.m. in Baker City. Cost $39. Click here for more information. BMCC SBDC offers "Quickbooks Online" workshop Mar. 13 at 6 p.m. in Enterprise. Cost $39. Click here for more information. The Street Trust presents the 2018 Active Transportation Summit Mar. 15-16 in Portland. Click here for more information. NEOEDD's board meetings are open to the public. Next meeting is Mar. 15 at 1:30 p.m. at the Union County Courthouse, 1001 4th St. in La Grande. Other dates: Jun. 28 (Baker City), Sept. 27 (Enterprise), Dec. 6 (La Grande). Contact the NEOEDD office at 541-426-3598 for more information. Travel Oregon will host the 2018 Oregon Bicycle Tourism Summit in conjunction with the Oregon Active Transportation Summit in Portland on Mar. 16. Click here for more information. BMCC SBDC offers "Getting Started with Quickbooks" 3-part workshop series Mar. 20, Mar. 27., Apr. 3 at 6 p.m. in Baker City. Cost $99. Click here for more information. BMCC SBDC offers "PR vs. Advertising" workshop Mar. 24 at 9 a.m. in Enterprise. Cost $59. Click here for more information. OR Manufacturing Extension Partnership offers "The Business of Manufacturing" free seminar for Oregon manufacturers who want to become more competitive in the global marketplace. La Grande, Apr. 11 at 9 a.m. Click here for more information. The OR Nonprofit Leaders Conference will be held Apr. 16-17 in Ashland. Click here for more information. OR Governor's Conference on Tourism will take place Apr. 29 to May 1 in Bend. Click here for more information. Oregon's Century Farm/Ranch applications are being accepted until May 1. Click here for more information. Government Contract Assistance Program (GCAP) offers an information session for potential sales of products or services to the government in Enterprise May 16 at 2 p.m.. Click here for more information. CycleOregon Classic returns to NE Oregon Sept. 8-15. Click here for more information. WorkSource Eastern Oregon will staff an office in Enterprise Wednesday and Thursday every week from 10 a.m. to 2 p.m. at the Prairie Creek Center, 104 Litch St. Weather permitting from Dec. through March. NE Oregon Housing Authority has received grant funds to support HUD residents vouchers to pursue educational and employment opportunities. Click here for more information. Turn Agency is offering a graphic design and web development partnership grant to a selected nonprofit organization to define the strategic, digital and brand communications executions that will best support its mission. Application deadline Mar. 1. Click here for more information. Wildhorse Foundation grant deadlines are Apr. 1, Jul. 1, Oct. 1, Jan. 1. They fund projects in a variety of areas in Morrow, Umatilla, Union and Wallowa counties, and with Tribal entities. Click here for more information. Letters of intent for OR Parks & Rec's Recreational Trails Program grant program are due Apr. 30. Click here for more information. The Oregon Cultural Trust has coalitions in all Oregon counties and Tribes that distribute arts and humanities grants within the community. In Baker County, the deadlines are May 15 and Dec. 15; click here for more information. In Wallowa County, the deadline is "in Spring;" click here for more information. In Union County, the deadline is Nov. 1; click here for more information. Northwest Farm Credit Services' Rural Community Grant Program funds projects such as building or improving facilities; purchasing equipment to facilitate a program; and funding capital improvements. Rolling deadlines are Jun. 1, Oct. 1, Feb. 1. Click here for more information. Oregon Community Foundation's Community Grant Program addresses community needs and fosters civic leadership and engagement. Rolling deadlines are Jul. 15 and Jan. 15. Click here for more information. The Reser Family Foundation's rolling deadlines are Aug. 1 and Feb. 1. The foundation's focus areas are education, health, arts and environment. Click here for more information. PEO Chapter $1,000 DK Memorial Scholarship available to women who graduated from a Union County high school and fulfill other requirements, applications due Apr. 1. Email Teresa here for more information. Job Corps is a free, residential job training program based in Nampa, Idaho. There is an orientation session the first and third Tuesday of every month at 11 a.m. at WorkSource Oregon in La Grande. Email John for more information. AmeriCorps engages more than 80,000 Americans in intensive service each year at 21,600 unique sites including nonprofits, schools, public agencies, and community and faith-based groups across the country. Click here for more information. Kelly Smith is youth career specialist at WorkSource Oregon in La Grande. Contact her via email or 541-963-7942 x13. EOU offers a networking group for students called the Millenial Community. Click here for more information. The Oregon College Savings Plan offers a tax-free savings account for college tuition. Click here for more information. Travel Oregon offers a monthly Travel Barometer here. OregonSaves gives Oregonians whose employers do not offer a retirement option a way to save for retirement. Pre-tax dollars are deposited into a Roth IRA. Click here for more information. The Small Business Development Center offers free advising to business owners and workshops to anyone in the community, including nonprofits. Baker and Wallowa counties are served via Blue Mt. Community College; Union County is served via Eastern Oregon University.